The meter pipework comes into the house via the same wall that I wish to have it fitted externally so as far as I can tell there will be no pipework required, it is just a case of taking teh meter off the internal wall and placing on the external wall but in the same position. gas engineers can do gas work up to the meter. the meter itself should not be moved as you suggest by any gas engineer or the general public. never, ever touch anything gas.....ever! I will second what Jeff Stockdale says.It is essential that National Grid do this and as he correctly says a Gas safe registered engineer can do any repiping to the gas meter. Phone a good plumber/heating engineer. Who is registered with the gas saftey scheme. They can move it up to 2m from the mains gas in. Will be some pipe work but not much. Should be a mornings work. you will have to get your supplier to do this as the pipe will be live( there will be no valve to isolate the supply), regards Terry. not completely sure but if its the same as electric meter as be done by british gas. best thing you can do it phone the company you get your gas from they will be able to help have give you a idea of cost. 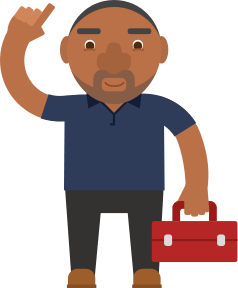 Post a job on MyBuilder to find quality, local Gas Engineers who can help you with your project.